This recipe for Pumpkin Pie Cookies is actually a Betty Crocker classic. Using a dairy and egg-free version of a sugar cookie mix (found on Amazon, Vitacost, Whole Foods, etc. ), we create a cookie base. Using a mix is the quickest method, but you can also opt to make your own. We are looking for the dry ingredients ONLY in any homemade recipe. Add no liquids other than the vegan margarine and vegan cream cheese. The vegan substitutions are much easier to find these days. Again, Whole Foods, Sprouts, Trader Joe’s and even some mainstream grocers are starting to carry the cream cheese. There are several options for the margarine including my favorite, Earth Balance. Follow Your Heart, Go Veggie, Daiya and Tofutti are four vegan cream cheese options. 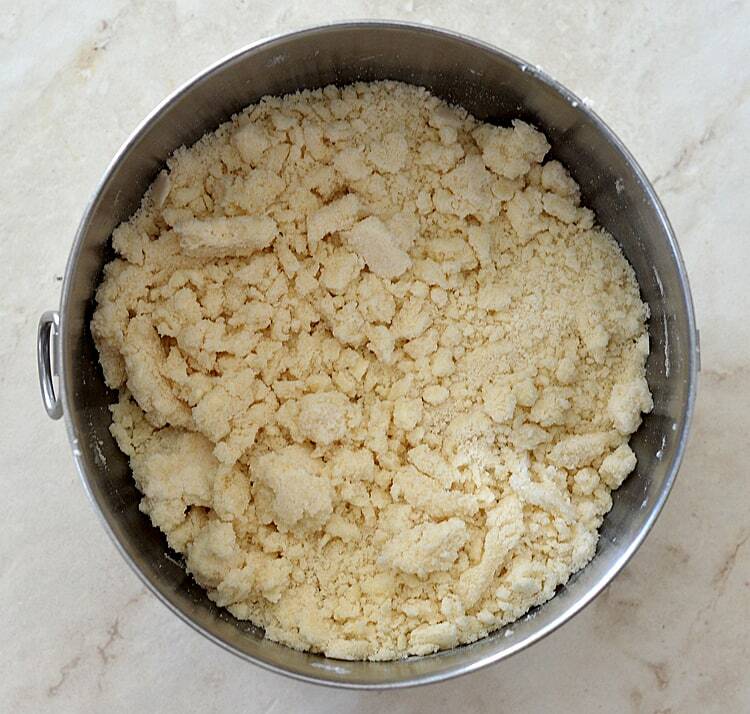 Using a pastry blender (or a fork), cut the mixture into itself to create this crumbly mix. I know what you are thinking, but trust me…it WILL hold together. 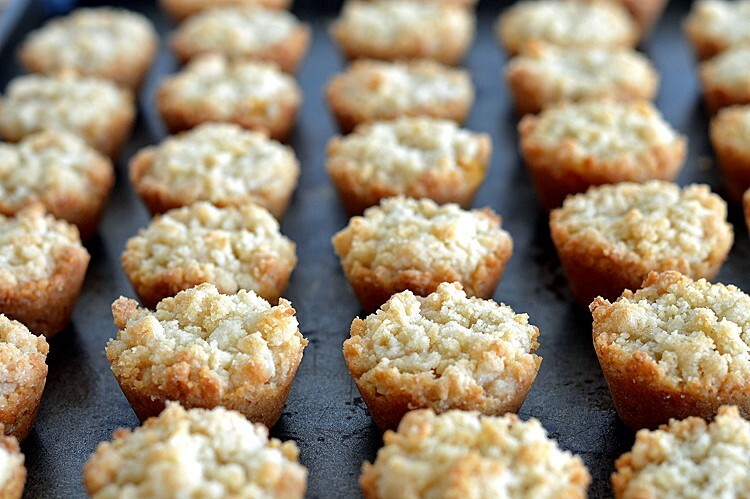 Place a rounded teaspoonful of the crumb mixture into the bottom of generously sprayed tart tins. I found this amazing tart tamper that cost, I don’t know…maybe $5.00, and it comes in handy for so many recipes like this one. You can also lightly press the mixture into the bottom with your fingers. I find that with either option, having a little bowl of sugar to dip in helps keep things from sticking. Now, in a separate bowl, combine all of the ingredients for the pumpkin filling. For scooping, I have a set of cookie scoops and this .25 oz. scoop actually works perfectly coming in at just about 1-1/2 teaspoons. It’s not an exact science, but I like kitchen gadgets 🙂 Try to place the pumpkin in the center. Now add some more of the cookie mixture. Press lightly and bake for about 15-17 minutes, or until the edges are a golden brown. This next step is very important. The cookies are soft straight from the oven and removing them now would only end in heartbreak, so allow them to cool COMPLETELY in the pan. Then, run a small knife around the edges to loosen. You’ll see the cookie start to rotate in the pan as you do this indicating you are good to go. Just use the tip of your knife to help you remove them. If you sprayed the non-stick pans, this should be a breeze. Remove to a rack to continue cooling. I like to let them sit for 15-20 minutes before placing them in an airtight container. They get a little bit of a crisp exterior and are soft in the center. More like a tart than a cookie actually. You’ll want to make LOTS of these. I promise you, they somehow magically disappear as you are making them! 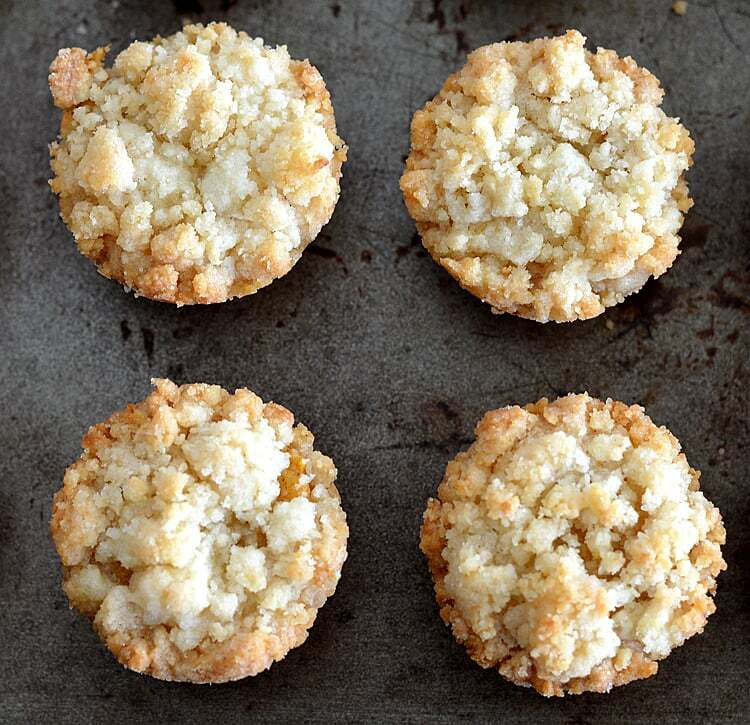 This recipe makes 36 tart-sized cookies. The original recipe called for full-sized pans, but I just think they are more magical in their bite-sized form, don’t you agree? Like mini pumpkin pies. I am obsessed with these cookies. Seriously obsessed. If you try this recipe, please let me know in the comment section below. Or if you feel like snapping a photo, tag me on Instagram @theveglife1. I love seeing what you guys come up with! 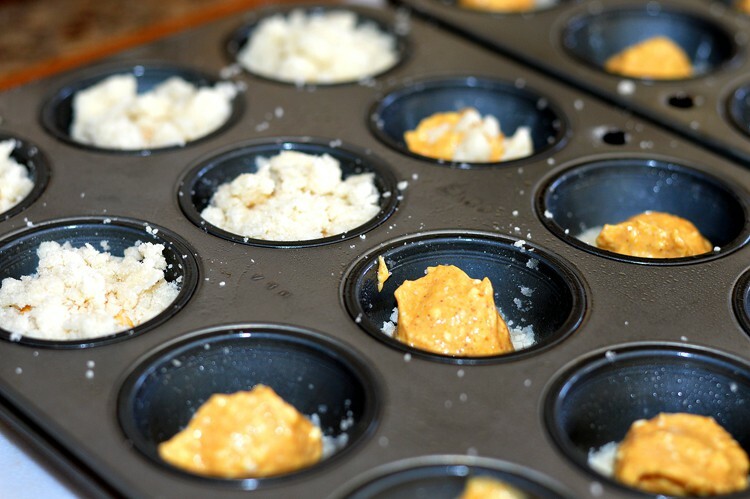 Prepare mini muffin pans with cooking spray. In a large bowl, place the cookie mix, cream cheese and margarine. 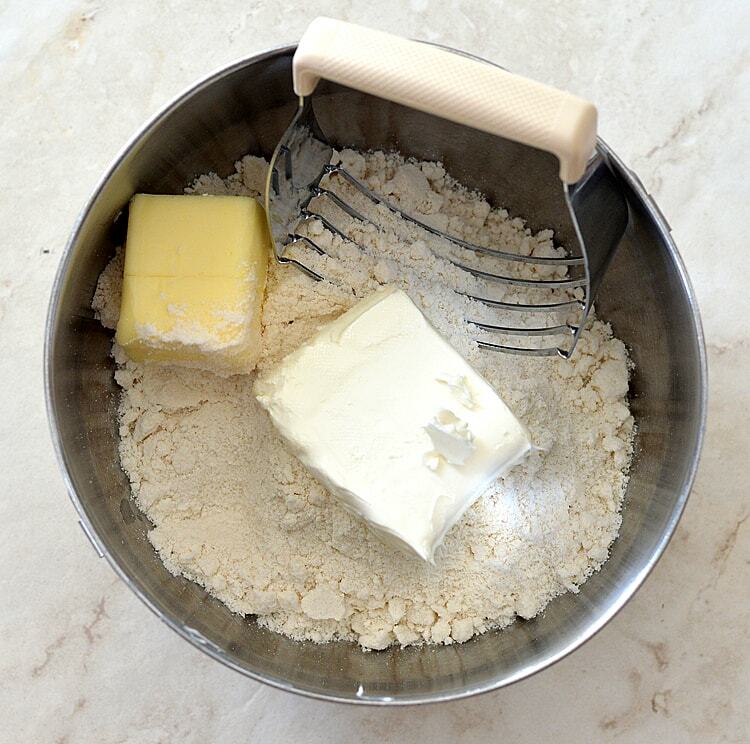 Using a pastry blender or fork, cut to create a crumbly mix (as shown). In a smaller bowl, add the cream cheese, sugar, pumpkin, flour and spices. Stir to combine. 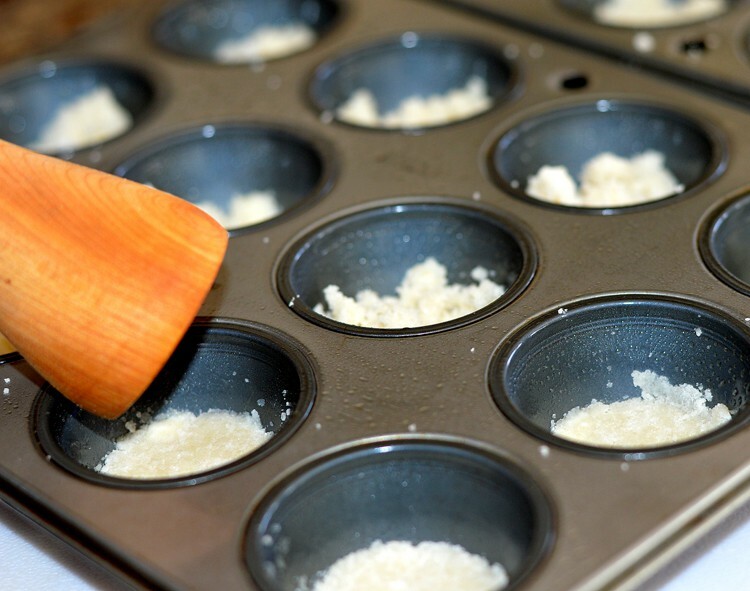 Place one rounded teaspoon of the cookie mix into the bottom of each muffin tin. 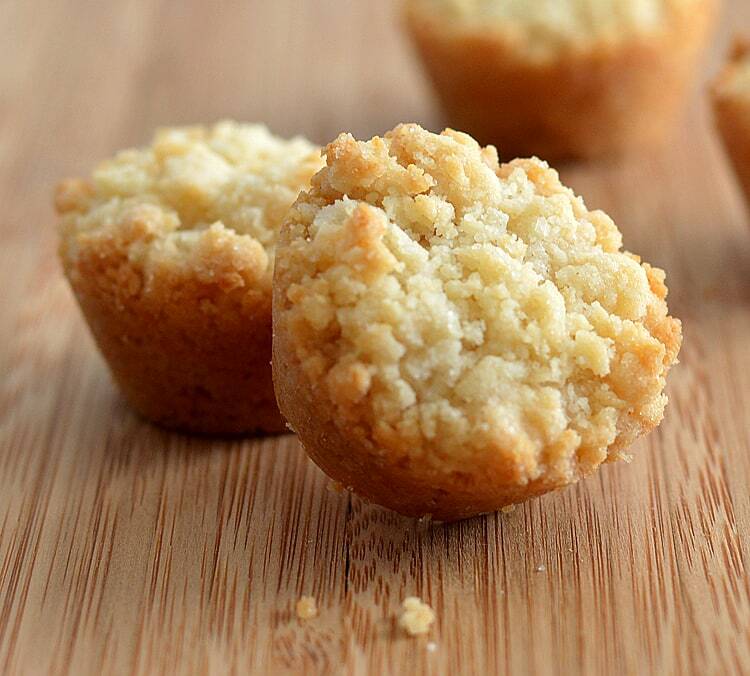 Using a tart tamper or your fingers dipped in sugar, press lightly. Place one rounded teaspoon of the pumpkin mixture in the center of each. 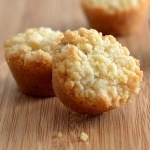 Top each with another rounded teaspoon of the crumb mixture. Press very, very lightly. Bake for 15 - 17 minutes or until the edges appear golden brown. Cool COMPLETELY in the baking pan and use a small knife to loosen. Using the knife, they should come right out. Transfer to a cooling rack and allow to sit for 15 minutes or until they are crisp on the exterior.